Sydney’s CBD can be a fickle little beast—if you don’t know where to look, you’ll probably never find the gems. That’s where we come in. So if you’re working hard for the money (in the CBD), just passing through or visiting from out of town, this is where to head for a more-than-decent cup of Joe. We can already hear you thanking us and you know what guys, you’re welcome. Here are the best coffee spots in Sydney’s CBD. Kingswood Coffee is a decadently decorated dark wooden coffee bar in the CBD. Blending their Sensory Lab coffee beans in-house, prepare to sip down on a concise menu of winning brews. Oh ,and did we mention the pastry pairings? With goodies from Brewtown Newtown, Brickfields and some seriously delish cheese toasties, this is probably the best possible start to your day. We don’t know about you, but when we picture trendy coffee shops, we think light timber, an airy atmosphere and the metallic finish of some legit coffee machines. Cue Regiment. This coffee hideaway is every coffee lover’s dream come true, serving up Five Senses blends which you know are always winners. They also have some great eats if you’re after the whole package. A coffee bucket list of Sydney’s CBD is not complete without Skittle Lane. Making a name for itself over the years, this place has become a true favourite of just about errrryone working in the city. These speciality coffee roasters live up to the name, roasting their own seasonal blend of espresso that’s beyond good. ICYMI, we’re dealing with true coffee professionals here. Single O’s baby sister has parked herself up in a lil’ CBD hole in the wall that’s oh-so-cute. But don’t get us wrong, this one’s not messing around, brewing their top notch coffee like it’s nobody’s business. And in true Single O style, they use their own beans that shows if you’re going to do something right, do it yourself—get there, STAT. Gumption: defined as spiritual initiative and resourcefulness—we think this coffee shop has got all of the above covered. Gumption at The Strand serves up bold expressions of coffee artistry—so prepare your palates because these guys are truly coffee snobs. In a good way. That’s right, they are here to show you Monday ain’t that bad, it’s just the coffee you’ve been drinking (TBH we’re not even mad). Whether it’s a quick coffee fix or a slow-roast alongside some mouth-watering breakfast and lunch goodies, Avenue On Sussex is what outpost and is a good option if you want to escape the lines of their Chifley Square and George Street spots. Really you can’t go wrong with any of them—this is some of the best coffee in the CBD. There’s a reason Mecca Espresso has stood the test of time in Sydney’s CBD and hint: it’s because they do it damn well. This sleek café with pavement seating roasts its own beans from El Salvador and Ethiopia with love and then craft it into a delicious copy of-please-for-the-love-of-god-wake-me-up. Too dramatic or juuust dramatic enough? 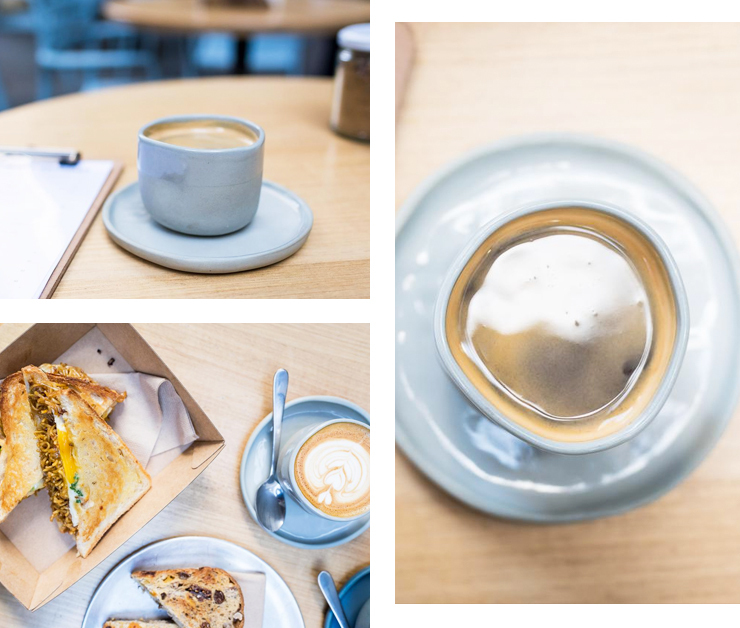 You might be familiar with the cray cray toasties these legends are churning out daily (we’re looking at you Mi Goreng toastie), but before they were known for that stroke of genius, they just did great coffee. And FYI, they still do. The O.Gs of Sydney’s CBD coffee scene, this place has got that uber cool CBD bar vibe—except they’re serving coffee (the booze comes later in the afternoon). Pablo & Rusty’s deliver single origin blends in a lit-up, industrial bar-style coffee shop. Go for the espresso, or filter, oooor just both (you get it). What if we said you could have your coffee and drink it too? At Cabrito Coffee Traders, not only do they serve up all the tastiness, but their coffee is also ethically and sustainably sourced. Seriously, what more do you want from them? We give this venue our tick of approval with a sleek and trendy vibe, good coffee and lots of goodies to munch down on your way back to the office. Palomino is another Sydney fan favourite—especially if you need a quick coffee fix before that meeting you’re already running late for (don’t worry we’ve all been there). But if you haven’t bean (get it?) here yet, expect smooth Morgan’s Handcrafted blends and fresh trays of muffins, bread and pastries. Can we just stay here all day? If you like to snuggle into your doona with a good cup of coffee on a Saturday morning then we’ve got the next best thing for your weekday—Workshop Espresso. With homely vibes, timber everything, comfy stools and communal tables, this spot is just one big yes. Now onto the coffee: it’s good. Like, really, really good y’all. We suggest settling in to slowly enjoy this cup of joy with one of their delish cronuts or an egg and bacon roll. Oh, did you think we’d forgotten about Barangaroo? You should know us better than that because we’ve got a winning coffee spot for you too. South By Dukes is planted in the International Towers and it’s spacious and light enough for you to nestle up with a good ol’ cup of coffee and survive the morning. With four different filter blends for pour overs and, of course, seasonal espresso blends, there really is no going wrong here. Oh and order a pastry while you’re there, won’t you? The Cross Eatery provides the perfect locale for groups with generous table settings or smaller spots for anyone that just isn’t feeling the social vibes. Blending their coffee with love and attention alongside the modern setting, it’ll feel like you’ve stepped right into a Melbournian laneway. Get in quick though because their food menu is so popular it sells out quick smart. As soon you set your eyes on a barista wearing either a beanie, fedora or horn-rimmed glasses, you know the coffee is going to be good. And you’re in luck team because that’s exactly what you’ll find at Marlowe’s Way. This tucked away coffee stop is just as trendy as its baristas so head here if you’re looking for some bean juice with an #instaworthy backdrop—your followers will thank you. 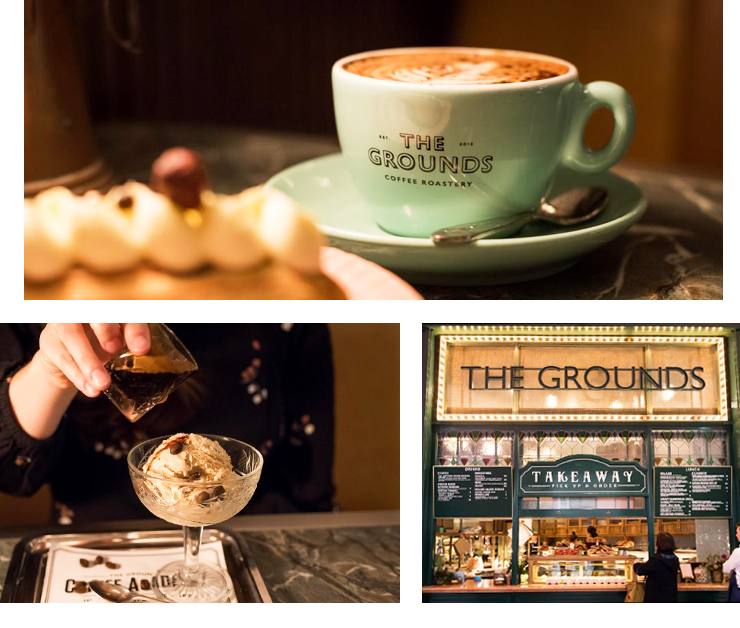 Although there’s no Kevin Bacon (the pig, not the man) at this outpost, The Grounds Of The City serves up the same quality coffee that its Alexandria sister is known for. If you’re on the run, head to the Barista’s Bar but if you’re keeping it chill, then park yourself down for a quick complimentary shoe shining. Also, grab a few of their amazing cake and pastry creations if you want to be the most popular person in your office. Calling one of the kiosks on Martin Place home, this little slice of deliciousness is serving up Reuben Hills coffee on the daily and they’ve even got a rotating weekly menu of filter coffee that’ll only cost you $2. ‘Nuff said. Set up in the former Cadbury Chocolate Factory, this Sydney cafe is serving up American diner-style dishes with the reason you’re all here—coffee. The beans are by Single O and that means only one thing (well, two): they care about coffee and they care about it being delicious (which it is). Check them out here. Once you're done here, check out our fave Vietnamese restaurants here.